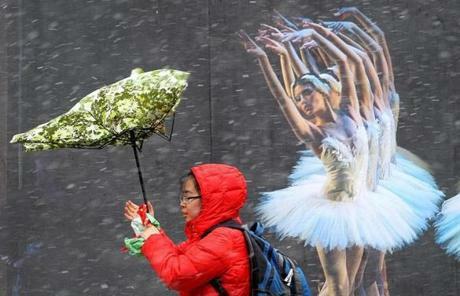 A woman's umbrella mimicked the movement of dancers' arms as she walked at Tremont and Stuart streets during a snow storm on March 7. 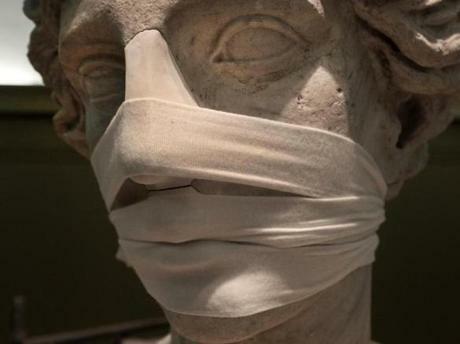 Medical bandages were used during reconstruction of the nose and lips on the 13-foot-tall statue of the goddess Juno at the Museum of Fine Arts. 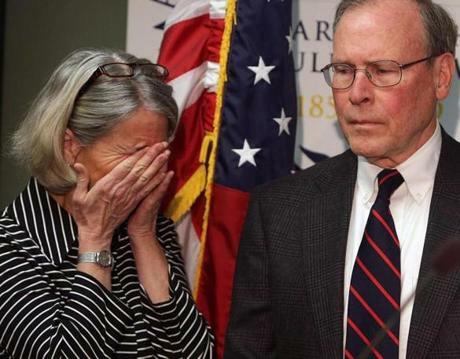 Mary Dunne and Malcolm Astley of Wayland faced the press after the guilty verdict was read in court against Nathaniel Fujita for the murder of their daughter, Lauren Astley. 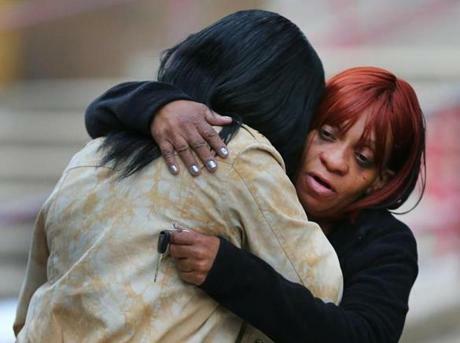 Two women hugged after leaving a hearing in Roxbury District Court for two men suspected of shooting to death a man on the platform of the Dudley Square bus platform. 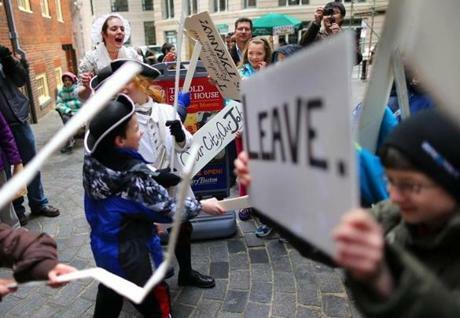 Children playing British soldiers and rebellious Bostonians clashed during a re-enactment of the Boston Massacre in front of the Old State House. 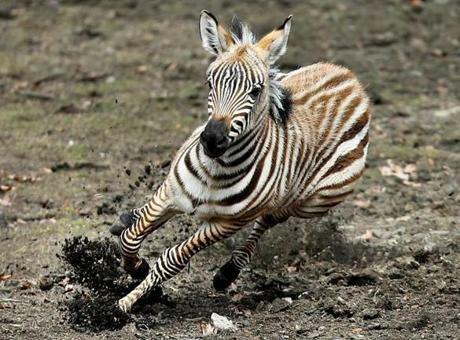 A baby zebra named Nemo, born on Feb. 9 at the Franklin Park Zoo during the blizzard named Nemo, appeared outdoors for the first time on March 5. 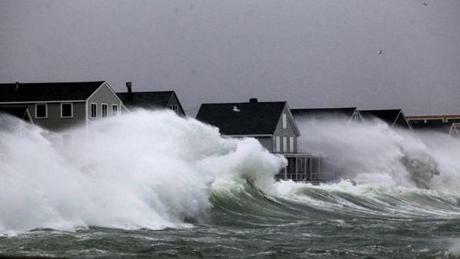 Wind and waves in Scituate during the coastal storm on March 7. 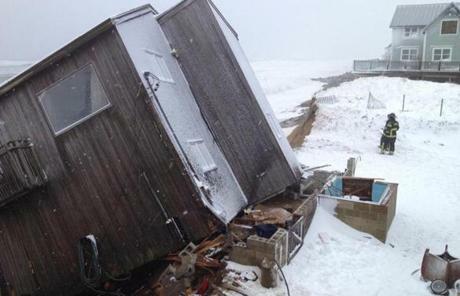 Pounding surf whipped up by a strong ocean storm ripped a home from its foundations on Plum Island on March 8. More winter misery made a long commute for some. 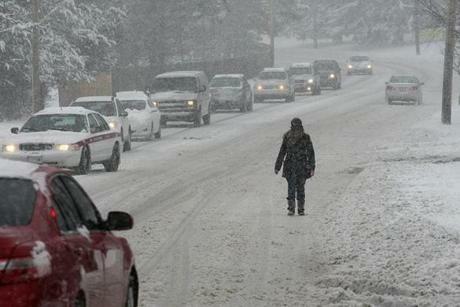 Sidewalks were not an option on Washington Street, so pedestrians shared the road with cars. 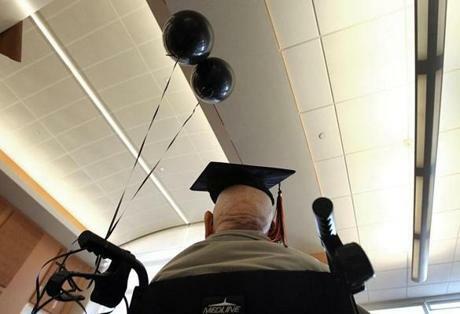 Fred Butler, age 106, received his long-delayed high school diploma. Beverly's oldest living resident, a World War II veteran who left school early to help his mother raise his five siblings, was honored at the high school. 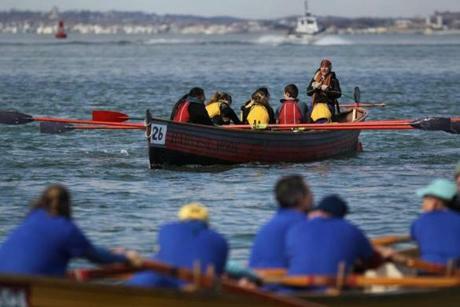 Coxswain Erika Tore from Burlington High School in Vermont directed the Harvest Moon’s crew during the annual Hull Lifesaving Museum's Snow Row. Boston Ballet dancer Kathleen Breen Combs rehearsed “Tar and Feathers," part of a three-dance program called "All Kyli n," which will be performed March 7-17. Figure skaters Marissa Castelli and Simon Shnapir trained at the Skating Club of Boston for the upcoming world championships in Ottawa. 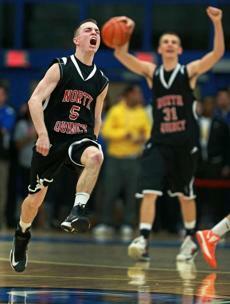 North Quincy guard Daniel Gould (5) leaped and yelled in celebration as the final horn sounded in his team's victory as teammate Efthim Butka (31) joined in. Newton North and North Quincy met in a Division One South boy's basketball tournament game held at the Clark Center on the campus of UMass Boston. Montreal's Brendan Gallagher (center) triedto control the puck in between Bruins goalie Tuukka Rask and sprawling Boston defenseman Adam McQuaid (54) in first period action at the TD Garden. The Bruins’ Adam McQuaid fought with Toronto's Mark Fraser in the first period on March 7. 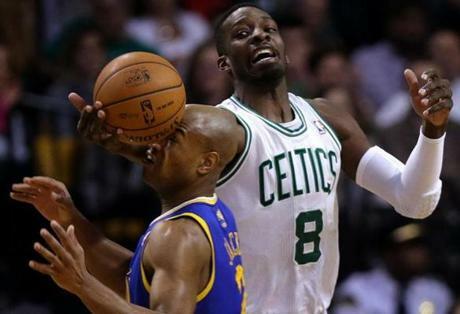 Boston Celtics power forward Jeff Green (8) knocked the ball free from Golden State Warriors point guard Jarrett Jack (2) during the third quarter at TD Garden. 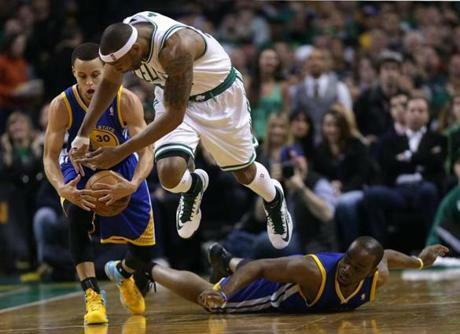 Boston Celtics power forward Chris Wilcox (44) took to the air as he tried for the steal on Golden State Warriors point guard Stephen Curry (30) during the first quarter at TD Garden.